Back in November, I introduced anyone who might not know any (alleged) blow kingpins to OFAC-designated drug trafficker Tareck El Aissami. 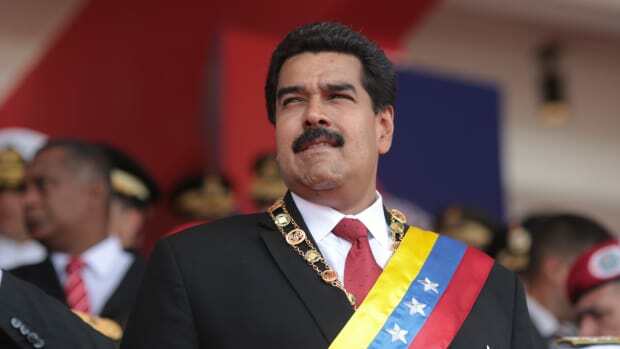 He facilitated shipments of narcotics from Venezuela, to include control over planes that leave from a Venezuelan air base, as well as control of drug routes through the ports in Venezuela. In his previous positions, he oversaw or partially owned narcotics shipments of over 1,000 kilograms from Venezuela on multiple occasions, including those with the final destinations of Mexico and the United States. Naturally, all of that makes him a great fit for a high level government position in Venezuela. In the first post linked above, I took you on a fun journey through El Aissami&apos;s political career, which culminated in his appointment as Executive Vice President in January, 2017. El Aissami ended up being put in charge of Nicolás Maduro&apos;s efforts to restructure the nation&apos;s massive debt load and that, in turn, put all of the country&apos;s creditors in the decidedly awkward position of having to choose between negotiating for some kind of payment and running afoul of the U.S. Treasury department which, in the same order linked above, indicated that dealing with El Aissami could land a corporate officer in prison for 30 years and that’s after paying up to $5 million in “I talked to a notorious drug lord” fines. 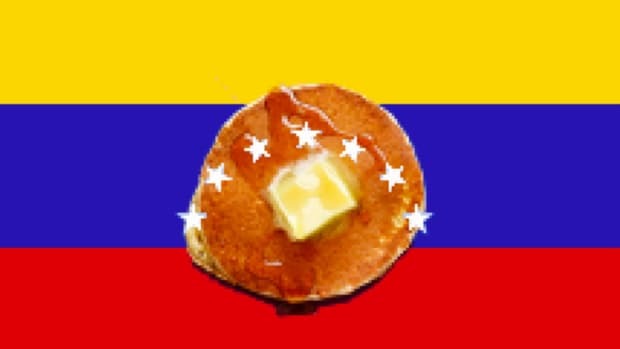 As if that needed to get any more absurd, Venezuela ended up inviting creditors to a literal pancake brunch in Caracas on November 13. 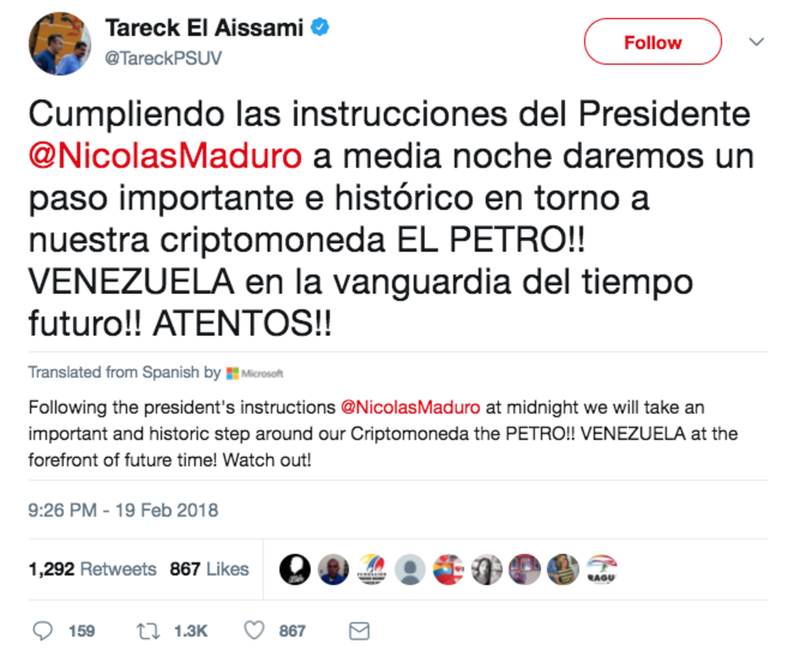 That didn&apos;t go well for a variety of reasons including, but certainly not limited to, the fact that El Aissami was in fact there, which technically meant that everyone in attendance was in violation of the U.S. Treasury&apos;s sanctions order. 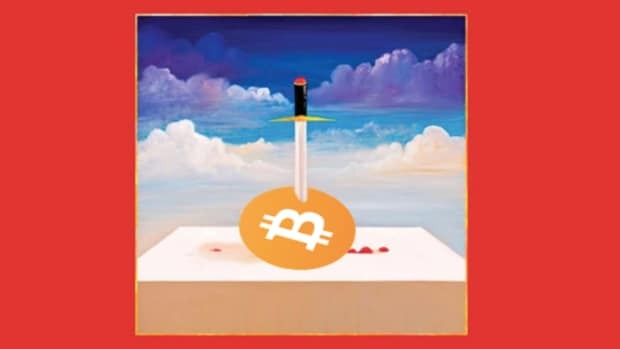 Well about three weeks after Venezuela sent creditors home with what Reuters described as “colorful gift-bags made out of recycled materials and containing Venezuelan chocolates and coffee", Maduro declared that he intended to launch his own cryptocurrency called "the petro" which was to be backed by the country&apos;s vast oil reserves and also by diamonds. It was (and still is) difficult to find the right combination of words to convey how fall-in-the-floor funny that is and to be clear, exactly no one thinks this is going to work. It&apos;s a blatant effort to circumvent U.S. sanctions and a laughably transparent attempt to rescue the economy from hyperinflation. 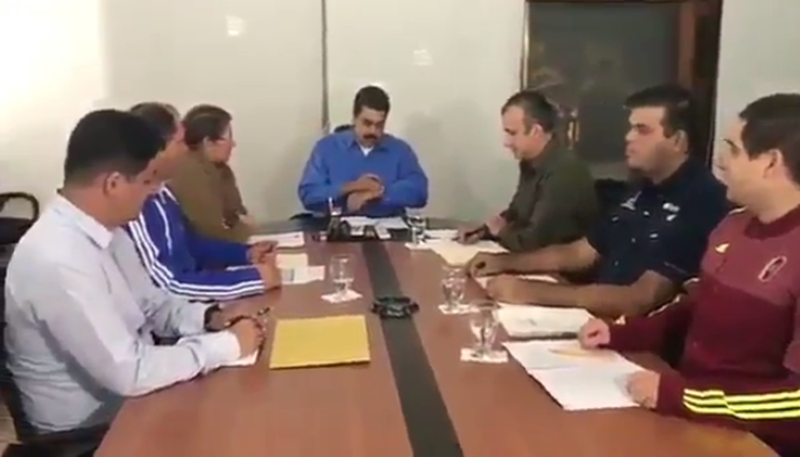 So among that colorful cast of characters is El Aissami (seated directly to Maduro&apos;s left) and wouldn&apos;t you know it, he was put in charge of publishing the petro manual. Yes, according to a notorious cocaine cowboy, Venezuela is "at the forefront of future time!" and you need to "watch out!" 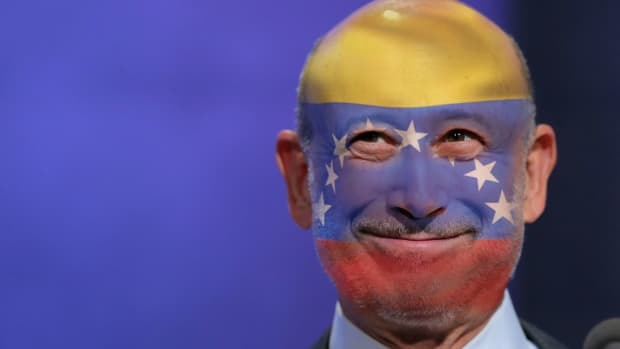 As FT dryly notes, "Venezuela has vowed that it will accept petros as a form of payment of national taxes, fees, contributions and public services." 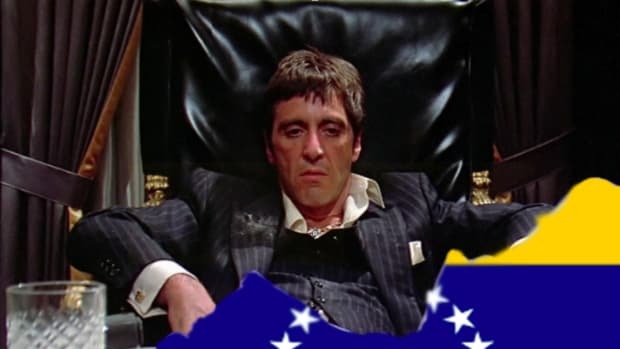 Be that as it may, something tells me El Aissami will still only be accepting dollars when it comes to that $750,000 you owe him for those 30 kilos he air-dropped into your backyard. Trying to pay that debt in "petros" might well leave you a little short on "future time". Nicolas Maduro knows how to make it hurt real good. 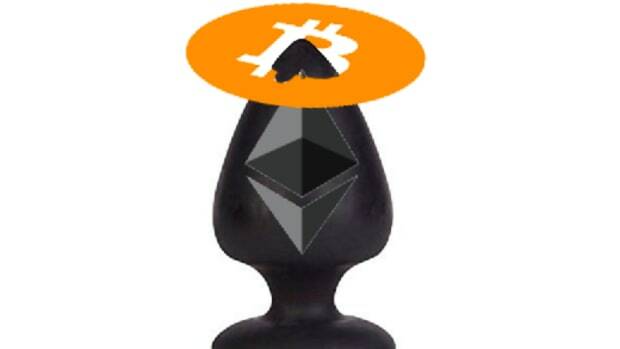 Thornton joined the Above the Law to talk cryptos, he was full nonsense! 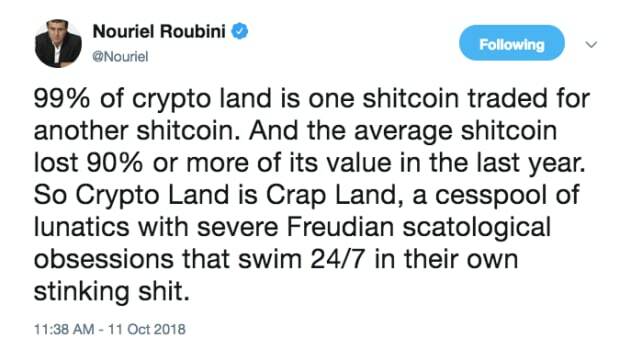 Call us crazy, but is he hedging?